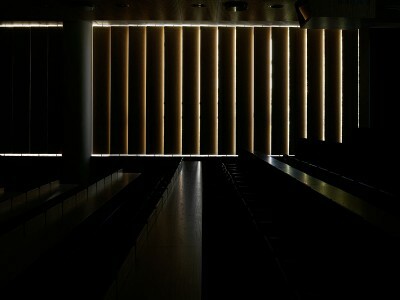 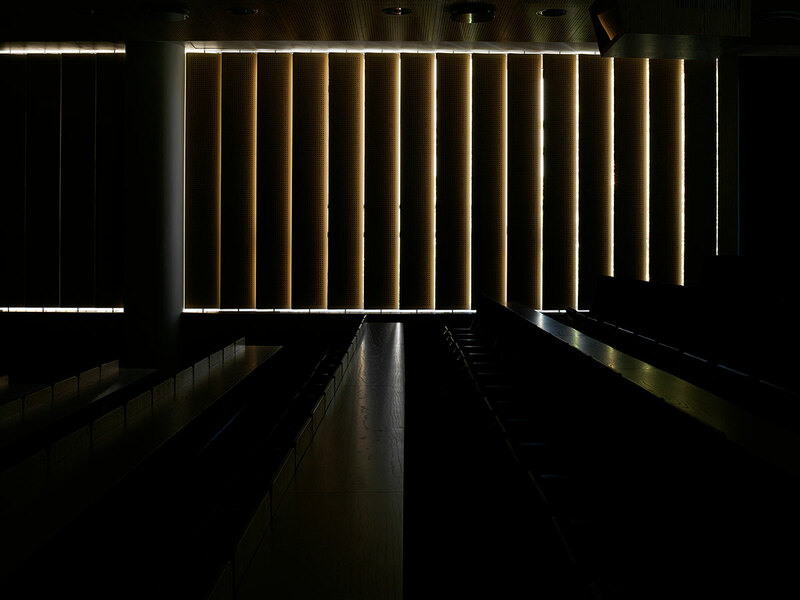 In cooperation with Hvidt Architects, Art Andersen developed a system of tilting louver shutters for control of the daylight and acoustics for the auditorium in the extension of the corporate headquarters of the insurance company Codan in Copenhagen. 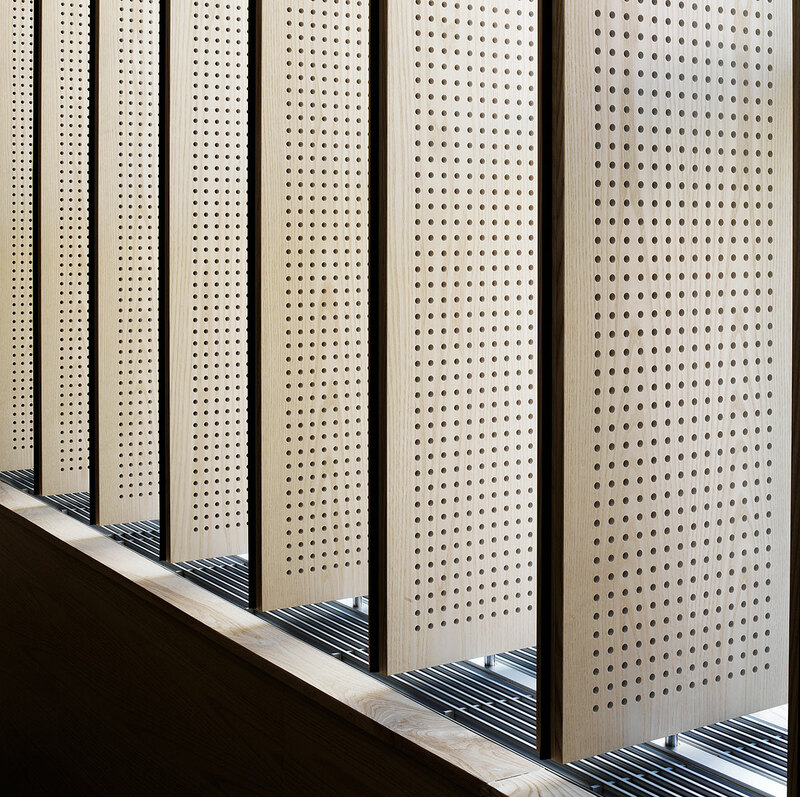 The system consists of 41 electrically operated louvers which ensure silent and efficient adjustment of the daylight and the acoustics. 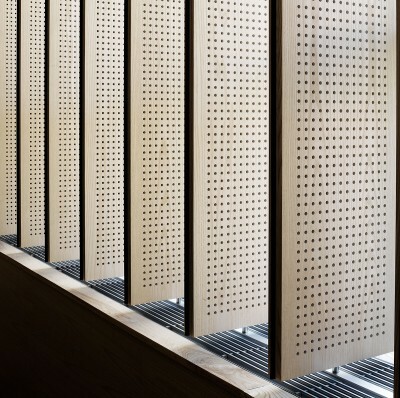 The louvers are made of ash wood, perforated on one side, and with rubber tongues along the edges, ensuring total blackout when the louvers are closed. 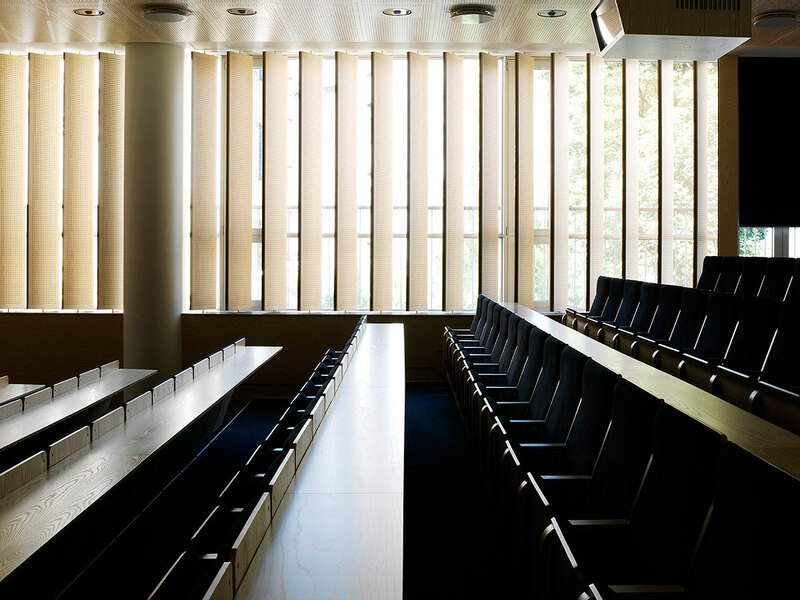 The system is an integral element in the architecture of the room and the building.